The family of a 3-year-old New York City boy who suffered from a severe allergy to dairy says he died after allegedly fed a grilled cheese sandwich at a pre-K that knew and had documentation that the boy had the dairy allergy, according to a GoFundMe page set up by relatives. Rana Novini reports. The family of a 3-year-old New York City boy who suffered from a severe allergy to dairy says he died after allegedly fed a grilled cheese sandwich at a pre-K that knew and had documentation that the boy had the dairy allergy, according to a GoFundMe page set up by relatives. The online donation page says Elijah Silvera went into anaphylactic shock Nov. 3 at the Seventh Avenue Center for Family Services in Manhattan and was taken to Harlem Hospital, where he died. City health officials ordered the pre-kindergarten school closed on Wednesday for failing to follow its written safety plan and failing to adequately supervise a child. Officials say they're investigating the boy's death, and the city is helping find other preschools for their kids in the meantime. Other parents who went to the preschool on Thursday were incensed they didn't find out about Elijan's death sooner. "This means my child went to school Monday, Tuesday, Wednesday and I didn't know this happened," said Demaris Lugo. News 4 has reached out to the Department of Education and the medical examiner's office. 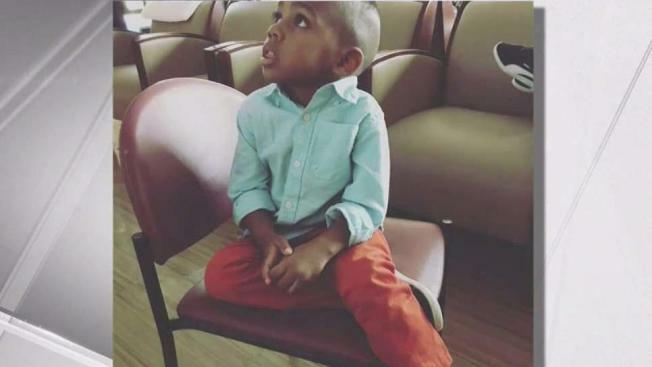 Elijah leaves behind his father and mother, his 5-year-old brother and dozens of friends and family members, according to the GoFundMe page.